Formula One is back! While we got a fascinating strategy battle early on at the Australian Grand Prix, too much of the race felt as if that “not enough passing” problem had been exacerbated by the 2017-spec cars. We need some cheering up in these dark times. We need a meme. Meet Rammstein’s new drummer, Toto Wolff. Mercedes F1 executive director Toto Wolff released his frustration on a poor, unsuspecting tabletop when the Ferrari of Sebastian Vettel popped out of the pits in front of Mercedes driver Lewis Hamilton. Ferrari had taken advantage of how hard to pass the new wider cars are and built up a lead while Hamilton was stuck behind other traffic that was just enough for them to fit in a pit stop and never cede the lead. It was the decisive move of the race, and Wolff knew it. 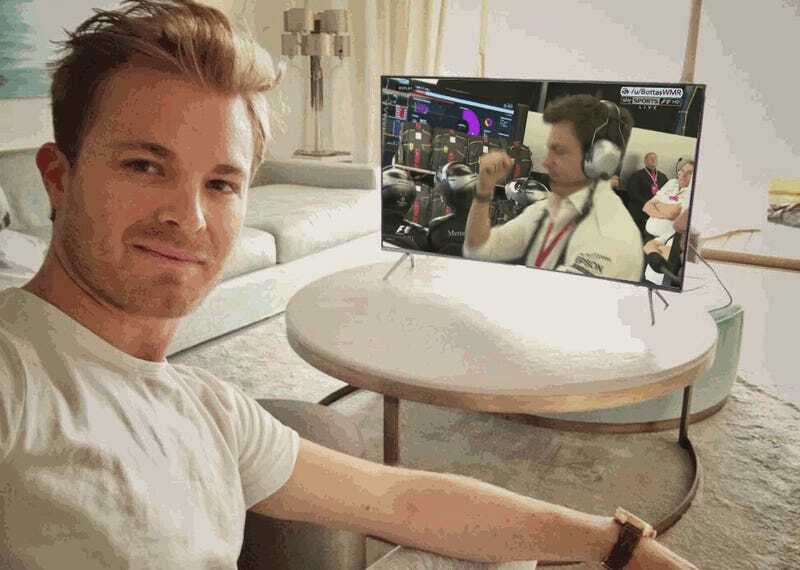 Fortunately, the Wolff Smash was caught on the world broadcast feed for the race, and the Internet has since run with it, as the Internet tends to do. Spot any great remixes of the Wolff Smash making the rounds? Post away in the comments below.